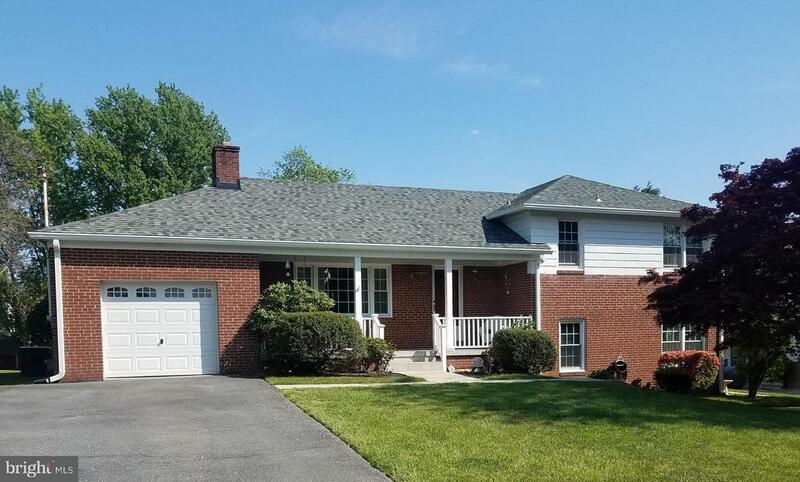 All Catonsville homes currently listed for sale in Catonsville as of 04/21/2019 are shown below. You can change the search criteria at any time by pressing the 'Change Search' button below. 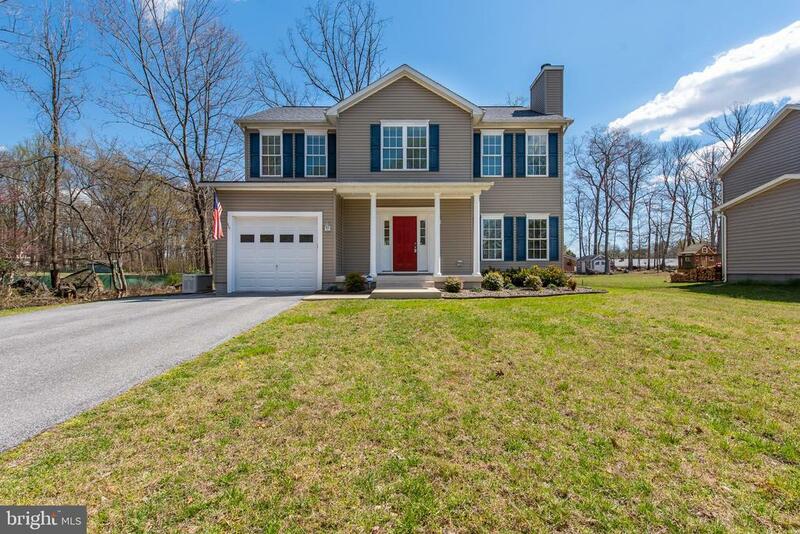 If you have any questions or you would like more information about any Catonsville homes for sale or other Catonsville real estate, please contact us and one of our knowledgeable Catonsville REALTORS® would be pleased to assist you. 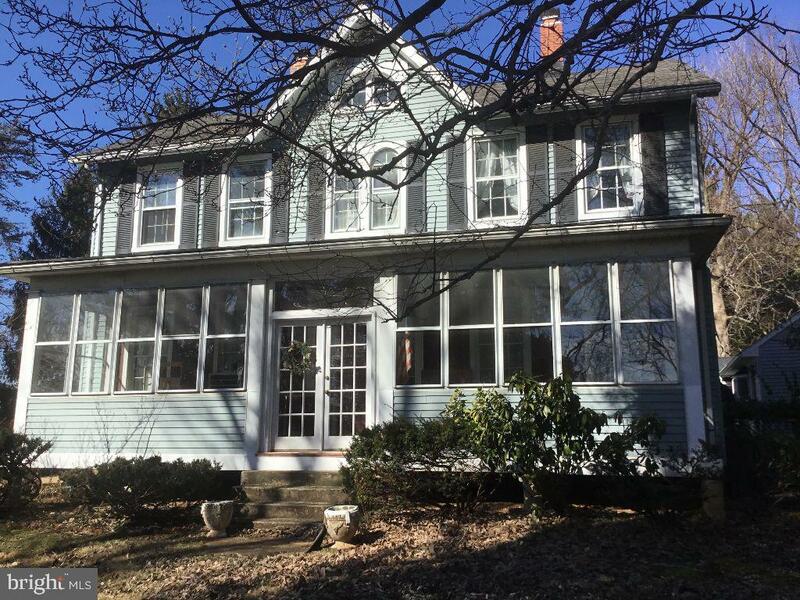 "Center Hall Colonial dwelling, circa 1890, with enclosed front porch, fireplace, bay window, built-ins, original hardwood floors, tiled bathrooms. Attached to the garage is a finished outbuilding as a family room with hardwood flooring, kitchenette, full bath, small loft, fireplace and built-ins. 2nd floor provides a separate 1 bedroom apartment with its own entrance stairway, partial cellar/basement." 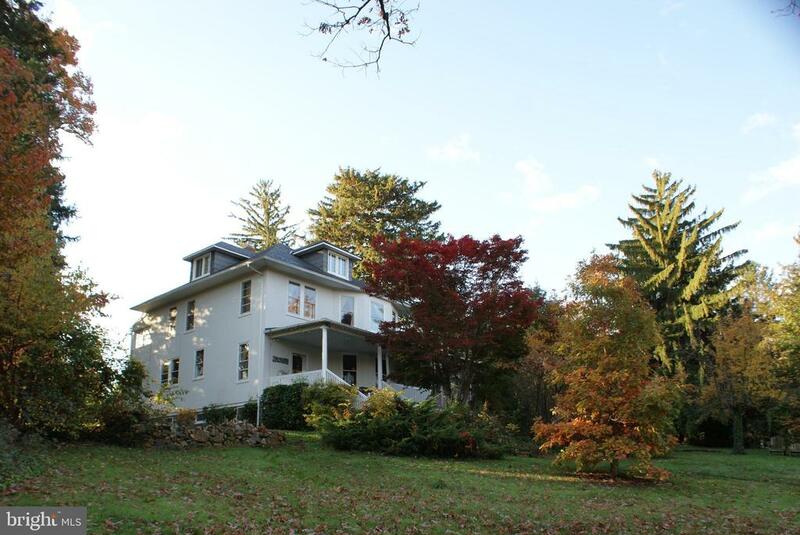 "Incredible Field Stone Mansion on 1 acre awaiting your Renovation. Intricate coffered ceiling Foyer, Living Rm, Family Rm, Office, Sunroom & 4 oversized Fireplaces w unique wood panel/designs. 12 Beds, 8 on 2nd level, 4 on 3rd. Slate Roof great shape. Lots of Parking. Grand Personal Residence to Restore, Multi-Family, Assisted Living, Corporate Office, B&B, Museum, Church, Restaurant. 6,220 sf up." "Enjoy the commanding view over Frederick Rd! 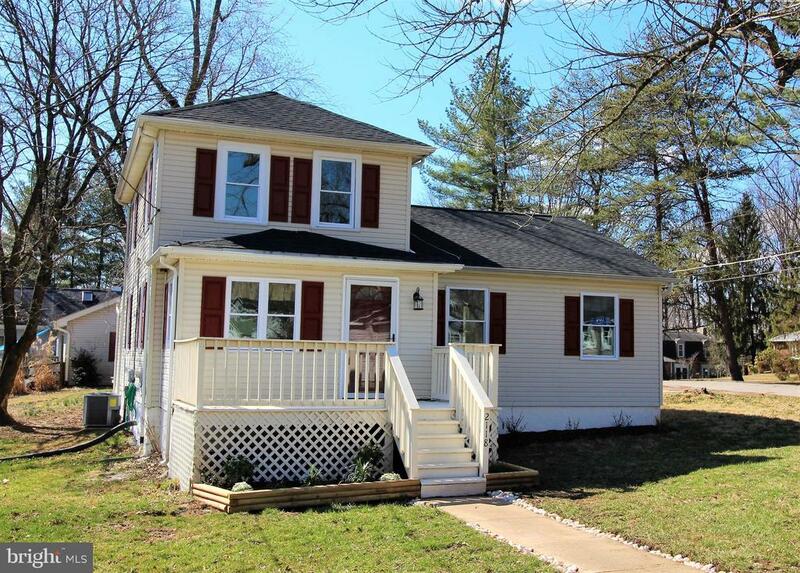 To-Be-Built 4 Bed, 2.5 Bath Craftsman in Catonsville! Move up to a Brand New Home! This home features an Open Floor Plan with Hardwood Floors, Large Kitchen including Stainless Steel Appliances and Walk-In Pantry, Gas Fireplace, Home Office, Large Bedrooms, Master Suite with 2 Walk-In Closets and Private, Luxurious Bathroom, Spacious 2nd floor Loft, Covered Front Porch, and 2-Car Attached Garage on a Large .4 Acre Lot. 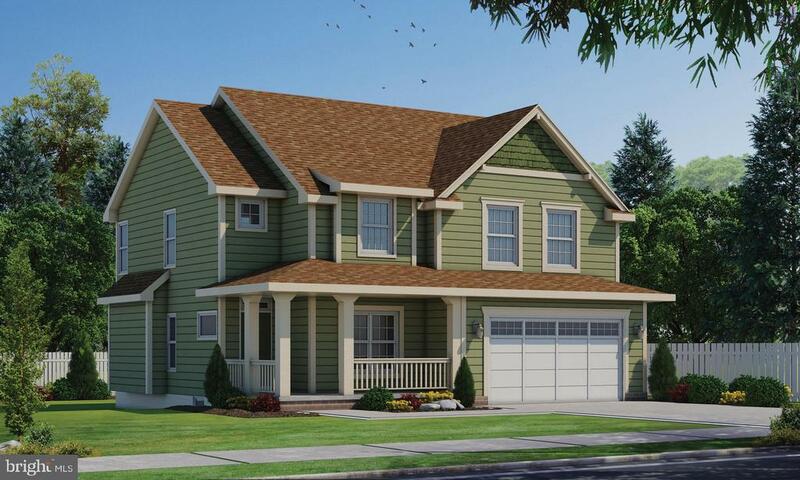 Schedule your consultation today to see detailed house plans and to add all of your custom finishing touches to this gorgeous home in Catonsville, MD." 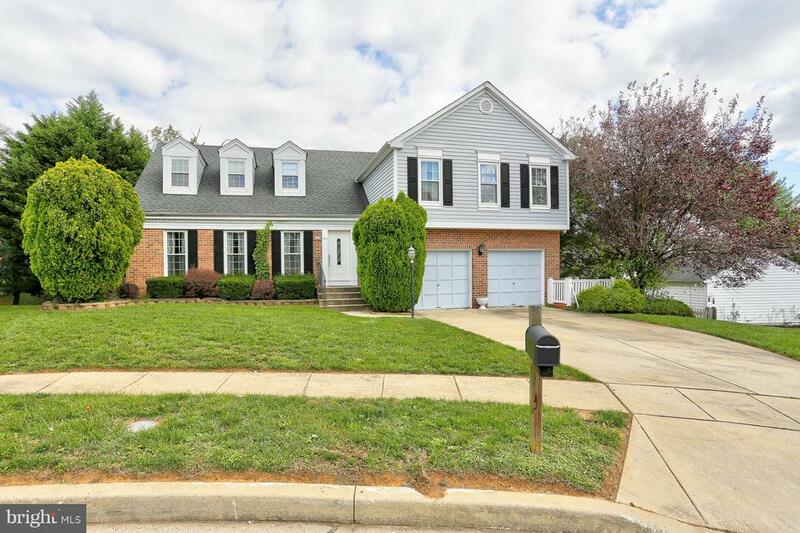 "Stunning home in the PERFECT location in Catonsville. Featuring 4 beds, 2 full baths, and 2 half baths w/ a master suite that will amaze you! Brazilian Cherry hardwood flooring through the main level, newer windows, intercom/music throughout main and upper level. Entertainers dream with a spacious basement w/ wet bar leading to a patio and completely restored heated salt water in-ground pool. Location! Location! Location!" 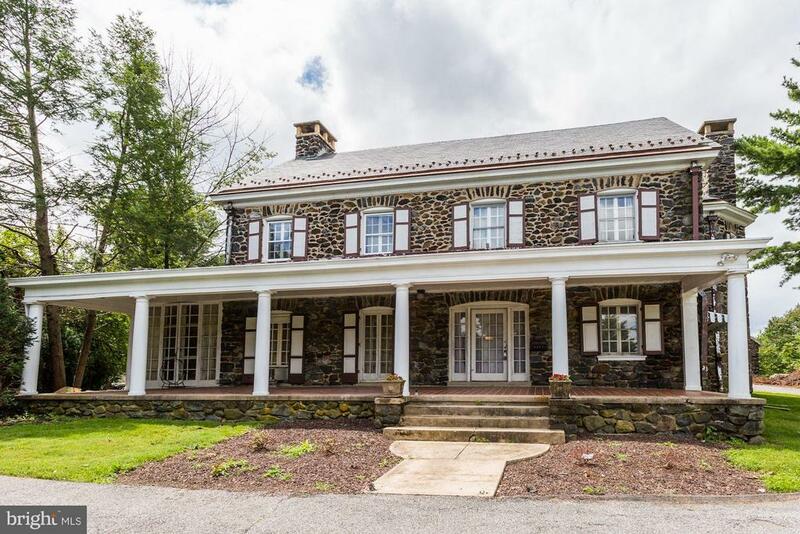 "Welcome to this remarkable home situated at the edge of Patapsco State Park! Spacious interior features a light filled open floor plan with 3 finished levels. Gleaming hardwoods span the main level, including expansive living room with stone Heat and Glo gas fireplace, open kitchen-dining area boasting brand new stainless steel appliances, including Frigidaire professional line side by side refrigerator and freezer, 42in solid wood cabinets with crown trim, newly installed recessed lighting and more! Ascend upstairs to find four comfy bedrooms, all with custom closet systems and two full bathrooms, including tranquil Owner~s suite featuring newly installed hardwood floors, large walk in closet equipped with washer and dryer, and spa-like attached bath. Finished lower level offers plenty of open space to relax and play as well as a full bath and lots of storage. Exceptional outdoor living spaces include an oversized Trex deck leading to charming paver patio with cozy built in fire pit and gas grill hook up. Complete with attached garage and many upgrades including newly installed gas furnace & AC with smart thermostat, gas powered generator and so much more! Enjoy park side living on a non-through street, convenient to everyday needs!" 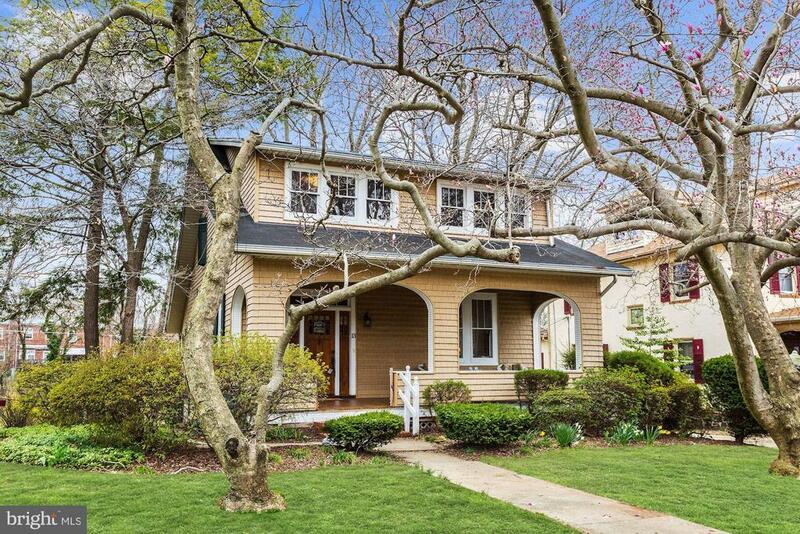 "Looking for the perfect Colonial in 21228? Need an in-law suite or just extra space? This home has it all. Gently lived in by original owners, updated and beautifully maintained. Hardwood floors on most of main level. Kitchen new in 2016 to include granite counters, custom cabinets, hardwood flooring and tile backsplash. Walk in bay adds to table space. Laundry on main floor. Main level family room has hardwood floors, wood burning FP and Atrium Door to deck overlooking large private yard. Master Suite with huge walk in and cathedral ceiling. Master Bath has soaking tub, separate shower and double sinks. Three additional BR's and bath on upper level. Lower Level has a full kitchen and stackable laundry, Full Bath, BR and separate level walk out entrance. Trane HVAC is new in 2017. Hot Water heater new in April 2018. New Double hung windows 2013. Partially wooded lot with Stream. Shed is 12X 8. Easy access to Baltimore and DC." "Be sure to check out this beautiful, ONE OF A KIND stone home in the heart of Oak Forest! Tastefully updated and upgraded throughout - It won't last long! Spacious Living Room features a dramatic stone fireplace, large picture window, custom built-ins, and wide opening to the Dining Room - Great space for entertaining. Refinished hardwoods and custom wood blinds throughout. Master Bedroom includes a private Bath and walk-in closet. Vintage-style hall Bath with granite vanity adds charm. Remodeled Kitchen features light wood cabinets and 2nd sink/food prep area. Stylish Butlers Pantry/Beverage Center recently renovated w/glass cabinet doors, wet bar & wine cooler. Adjacent to the Kitchen & Beverage Center is a light filled Sun Room that offers access to garage, 2 decks and lovely, private back yard. Perfect for warm weather entertaining! Finished lower level with remodeled Family Room, half Bath, Office & Utility Room/Workshop. Walk or bike to nearby Village shops, restaurants, state park and more! There's so much to love about Catonsville!" "Updated & upgraded throughout! 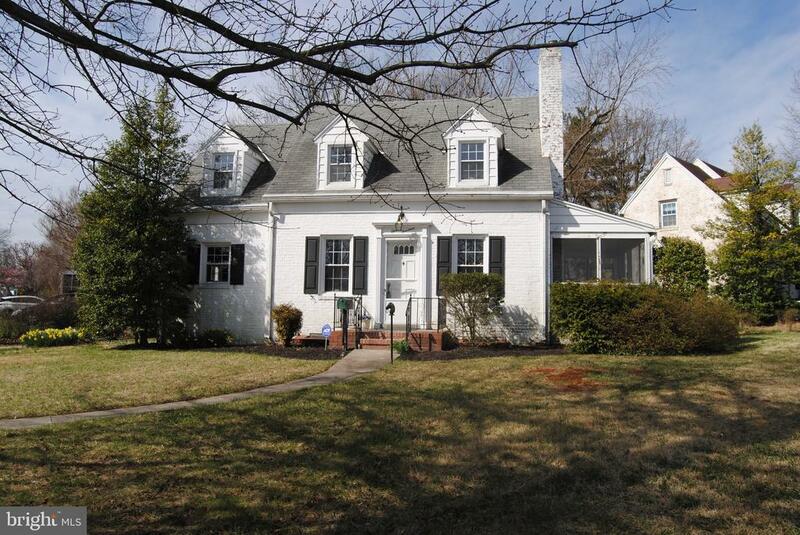 Great Catonsville location, close to Village shops & restaurants, schools, state park and more! Spacious Living Room w/wood burning fireplace and wide arched opening to Dining Room. Remodeled Kitchen has gas cooking, light wood cabinets w/bevelled glass doors, stainless steel appliances, granite counters, and pendant lighting. 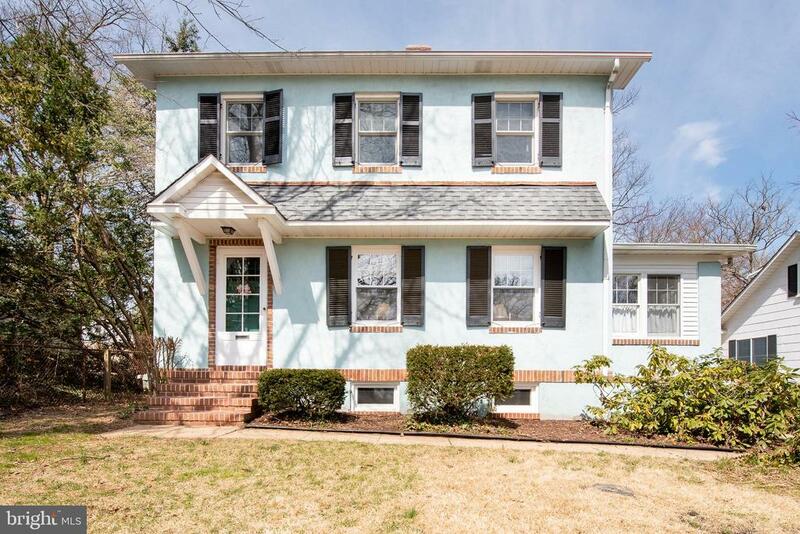 3 story addition includes a Family Room & half Bath on main level, large Master Suite w/private Bath upstairs & lower level w/second Family Room, half Bath, 4th Bedroom or Office, Utility Room/Workshop, and walk out to patio and backyard. Quiet neighborhood ~ Enjoy morning sunrises from the rear deck and evening sunsets from the wide wrap-around front porch. Walk or bike to summertime music venues, 4th of July festivities, festivals, food truck Thursdays. Easy access to commuter routes, BWI, MARC Train. There's so much to love about Catonsville!" "Well Maintained Split Level 4 Finished Levels*Over 2000 Sq Ft*4 Bedrooms*3.5 Bathrooms*Original Hardwood Floor Under Carpet in Living Room/Dining Room*Granite Tile Covered Front Porch*2 Decks*Great Level 0.49 Acres w/Above Ground Pool (Seller will remove if requested) Large Storage Shed*Playground*1 Car Attached Garage w/plenty of Parking on Driveway*Hardwood Floors*Granite Counters*2 Remodel Full Baths*Game Room***Possible Rental Income/Suite has Separate Side Entrance, 2 Bedrooms, Laundry Room/Kitchen w/Door to Rear Deck and Locked Door to Main House*Enjoy Catonsville Main Street & Old Ellicott City just minutes away." 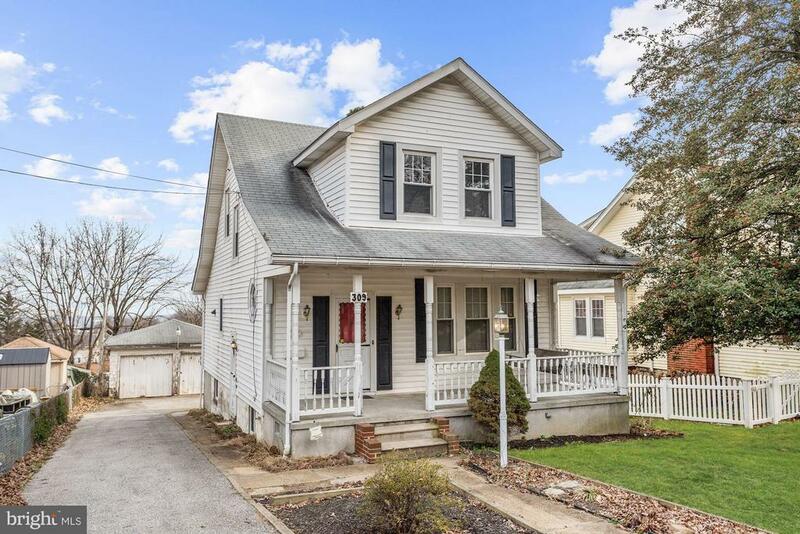 "Lovingly maintained Catonsville charmer perched on a quiet street in Old Catonsville. Original hardwood floors and unique details span throughout this spacious home featuring light filled formal dining room with corner built in~s and living room with wood burning fireplace, newly updated half bath and eat in kitchen with adjacent family and sitting rooms. Upper level hosts 4 bedrooms and two full bathrooms, including a sitting room or office with access to private loft style bedroom and attached full bath. Full, walk up lower level features a newly added half bath and has been water sealed. Other recent updates include new water heater, sump pump, newer windows and roof. Complete with detached 2 car garage and sizable backyard with brick patio surrounded by perennial garden. Conveniently located to highways, UMBC, BWI and more! Welcome home!" "Don't miss out on this special opportunity ~ Come check out this stately American Four Square. Fall in love with this early 1900's historic home set on a wooded hill on a gracious oversized lot screened from historic Frederick Road with a wrap-around porch. On entering the home, enjoy the abundant windows with antique glass, high ceilings and flowing floor plan. The home's interior has been extensively updated through the years adding the comforts that are expected in a modern upscale home while at the same time preserving the charm, elegance and architectural integrity of a simpler time. The light filled mud room in the rear of the home leads to a beautiful modern gourmet kitchen with generous (granite) counter space, more than ample custom quarter sawn oak cabinets and a pantry salvaged from an ancient Baltimore mansion. The main level also features a spacious dining room with built-in, living room and oversized foyer. Glass doors lead in the living room lead out to a large wrap around covered porch, complete with swing. The front rooms overlook the hill and have a stunning view of the setting sun. The second floor has four bedrooms, three of which are oversized by today's standards. The one smaller bedroom features a glass sleeping porch. The top level has been completely redesigned and is now an open concept master suite instead of small closed-in attic rooms. This historic home is set on an oversized lot: sweeping lawns, towering trees, abundant flower gardens, blooming shrubs and bushes. Discover the garden filled backyard with room to entertain from a bluestone patio ~ great for play. Close to the Short Line walking trail ~ walk or bike to shops & restaurants!" 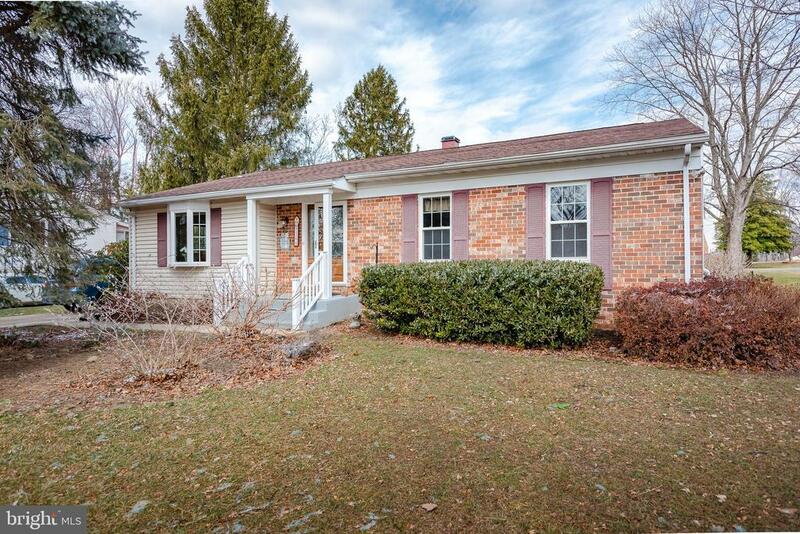 "Lovely 3 Bedroom 2 bath Rancher to be built in Catonsville. Builder has many years experience building custom high quality homes. Home will feature hardwood floors, custom railings, ceramic tile, granite counters and stainless appliances. The lot is situated on a private drive surrounded by privacy. The main level will feature a large open floor plan featuring 3 bedrooms which includes the Master Suite with private bath." "Drastically Reduced Below Appraised Value! Must See the Inside to Really Appreciate This One! 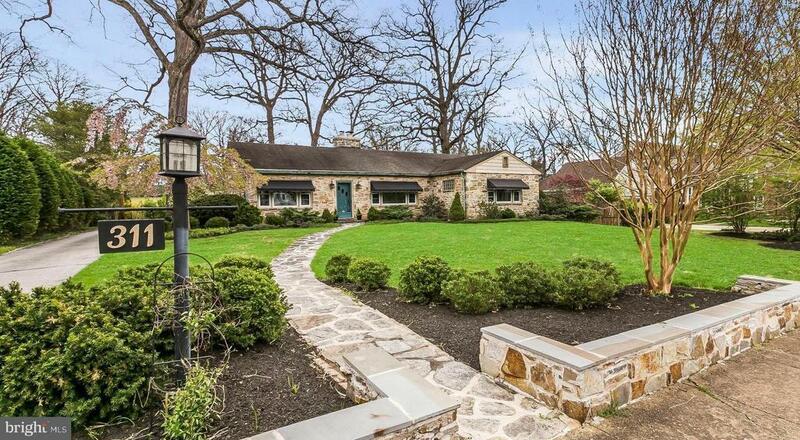 Historic Charm & Character Throughout This One of a Kind Stone Home Built in 1937 & Has Recently Been Renovated With a Large Addition! Home Features Beautiful Brand New Hardwood Floors Throughout Main Level, Updated & Remodeled Kitchen with Granite Counters, Stainless Farmhouse Sink, Portable Island and SS Appliances, Living Room With Stone Wood Burning Fireplace Plus a Bonus Room/Office With Custom Woodwork Built-Ins. Main Level Has a Beautiful Master Bedroom Suite With Exposed Stone Wall, Walk-In Closet, New Bathroom & a Pocket Door to the Bonus Room/Office/Sitting Room! Another Bedroom With Pocket Door Access to Full Bathroom and Laundry/Mud Room Complete the Main Level. Upper Level Features 2 Additional Bedrooms Plus a Bonus Room That Can Be another Bedroom, Nursery, Office, Sitting Room, Large Walk-In Closet, Etc. Plus A Full Bathroom! Mud Room Off the Kitchen Leads to the Deck Overlooking the Fenced Level Yard With a Hot Tub, Playground, Grapevine & Garden Area. Partially Finished Basement With Plenty of Storage. Long Driveway Leading to Oversized 2 Car Garage with Built-In Workshop Space. Replacement Windows, New Central Air, New Appliances, New Driveway, New Roof Over Addition, Tankless Hot Water Heater & So Much More! Private Dead-End Street, Close to Open Space & Trolley Trail for Hiking! The Sellers Have Taken Pride in Their Efforts to Keep the Charm of This Historic Home! 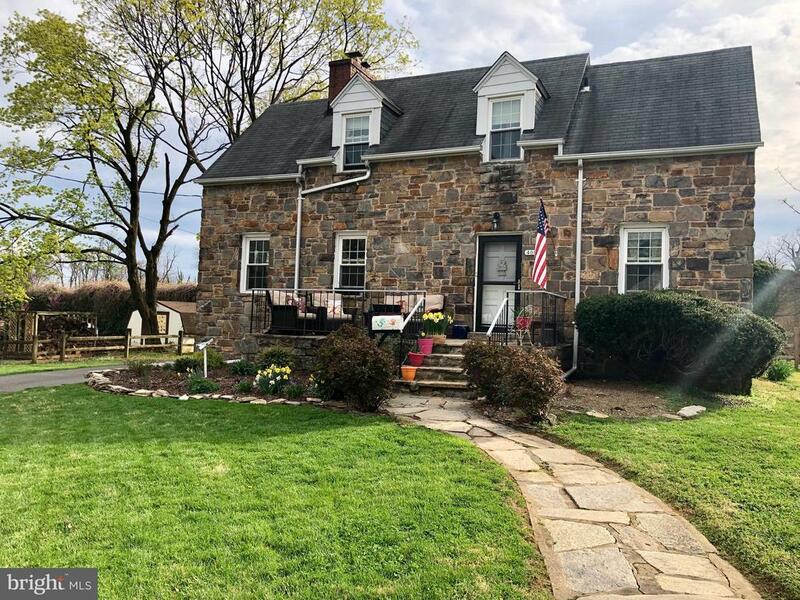 **Tax Record Has Not Been Updated With Correct Square Footage**"
"So many things to LOVE about this Classic Catonsville Colonial!! Hardwood floors, powder room and bonus room on main level, 4 large bedrooms with ultra convenient Jack and Jill baths, finished lower level with huge storage area! The list goes on - you must see this home in person. Eat in kitchen with 42 inch cabinets and stainless appliances walks out to screen porch and yard. The finished lower level has large windows and walks up to the yard. Huge separate storage and laundry room. Central AC and refinished hardwood on main level. 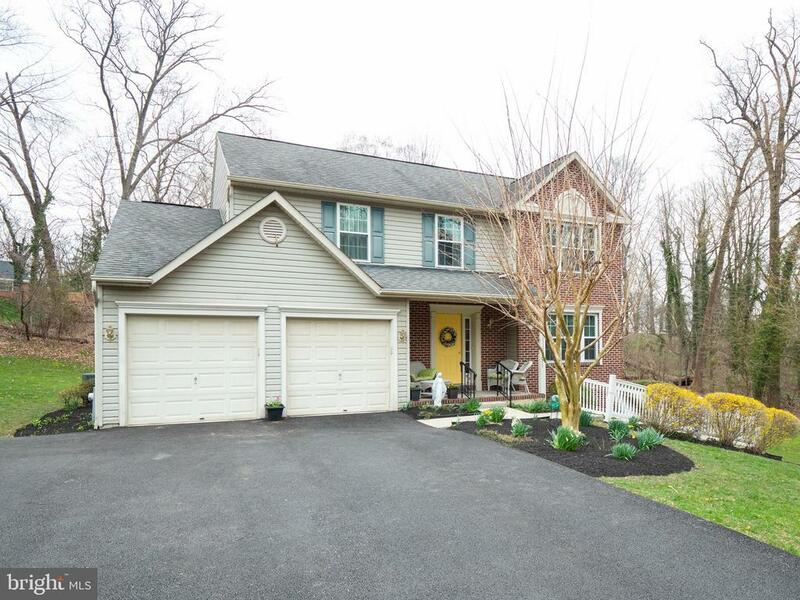 Great established Catonsville neighborhood, just minutes from shops, restaurants and Patapsco State Park trails. Easy commute to jobs, shopping and culture in Baltimore, Columbia, Annapolis and Washington, DC." "Beautifully upgraded Ranch-style home on large corner lot offers exceptional, move-in ready living spaces! Easy to care for wood-look laminate floors span the main level living spaces including dining room with bright bay window, newly updated kitchen featuring quartz counters, stylish grey cabinetry, tile backsplash, farm sink and sunny breakfast nook off spacious living room overlooking concrete patio and flat, fenced back yard. Comfy main level bedrooms include sizable Owner~s suite with double closet and newly remodeled attached full bath. Complete with full, finished basement featuring an expansive Rec Room, full bathroom and plenty of space for storage with built in shelving! Conveniently located to shopping, dining and highways, this home is all you've been searching for!" "Lofty Windows and Light Filled Interiors; Gleaming Hardwood Floors; Beautiful Wood Framed Windows and Doorways; Elegant Detailed Wood Staircase and Banister; Classic French Doors; Stainless Steel Appliances; Upper-Level Ideal for an In-Law Au Pair Suite Featuring a Second Kitchen and a Full Bath; Main Entrance Offering a Shared Vestibule with Separate Entrances to the Main and Upper-Level; Exterior Features: Covered Front Porch, Fenced Rear, Exterior Lighting, and Landscaped Grounds." 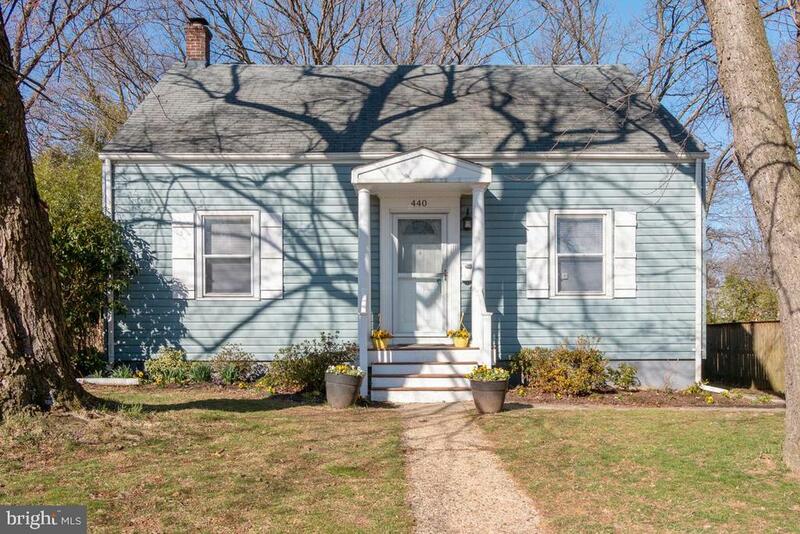 "Don't miss this charming colonial located on a quiet dead-end street in Oella. Remodeled kitchen with new cabinets, granite counters & all new appliances. First floor master suite with full bath; First floor laundry; Recessed lighting; 2 large bedrooms on upper level with full bath; Unfinished basement has utility room and extra storage space; Large corner lot offers potential for future expansion; New windows throughout; New roof; New A/C; Nestled in a close-knit community that is surrounded by Patapsco State Park; Easy-access to shopping & major travel routes, too! Come see!" "All brick painted Cape Cod with hardwoods throughout, built ins in living room & dining room, updated kitchen and first floor den/office. Nice sized master with hardwoods, tile bathroom. Screened porch for summer entertaining. 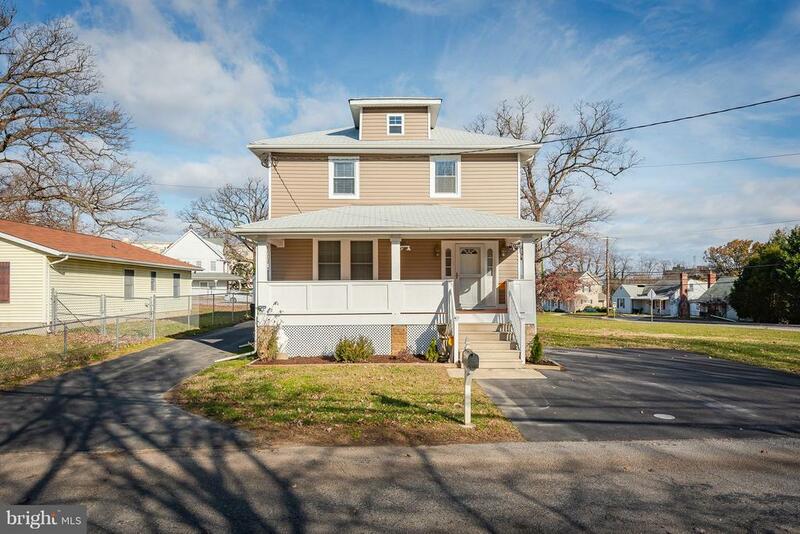 This home is perfectly located just minutes to downtown Catonsville, Baltimore, BWI, and so much more! Come see all Catonsville has to offer!" "Welcome Home! 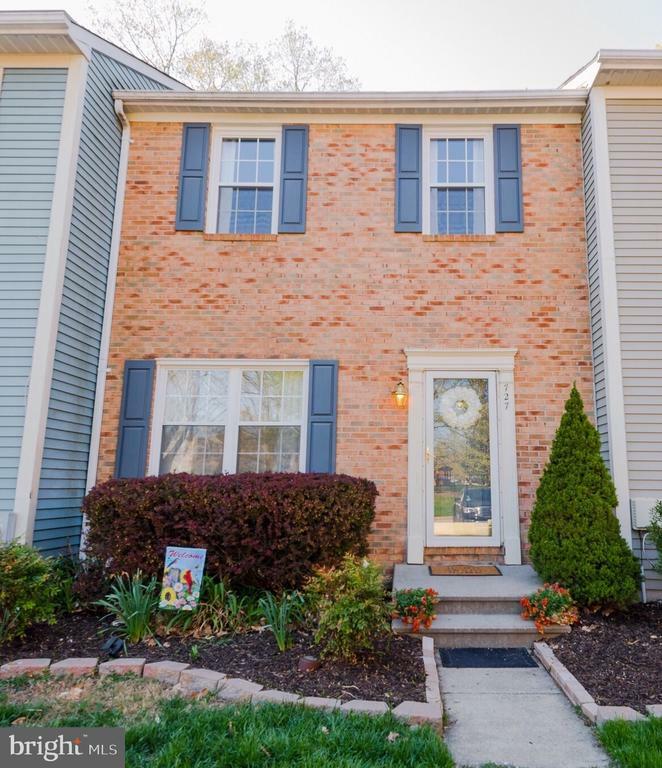 Rarely Available 3 Bedroom, 3 Full Bath Brick Front Townhome In Sought After Patapsco Falls In Oella. This Beauty Features, An Updated Country Kitchen With Granite Countertops, Pantry,Breakfast Area For Eat-In Table And/Or Island. Updated Slider Walkout to Huge Deck Overlooking Patapsco State Park. Separate Dining Room With New Laminate Flooring, spacious Living Room With New Windows. Upper Level Features Brand New Carpet Throughout, New Front Windows, 3 Bedrooms and 2 Full Baths. Finished Lower Level With Family Room and Full Bath. Updated Slider with Walkout to Rear Yard Backing to The State Park. Walk to The River From your Own Backyard. Updated HVAC and Hot Water Heater. Large Laundry/Storage Room. Walking Distance to The Trolley Trail, Historic Ellicott City and Trails Galore Right out Your Back Door! 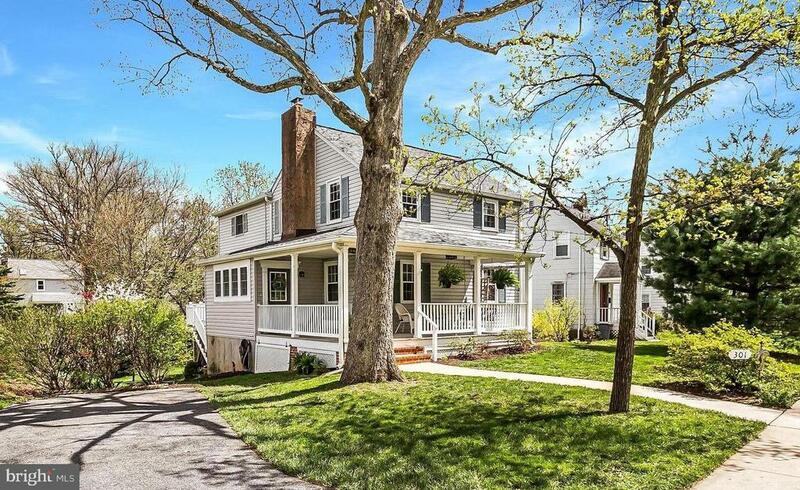 Ideally Situated in Oella Between Catonsville and Historic Ellicott City. Minutes to Everything and Easy Access To All Major Roads. Located On A Cul-de-sac Backing To Your Own Private Oasis! Additional Photos Coming Soon." 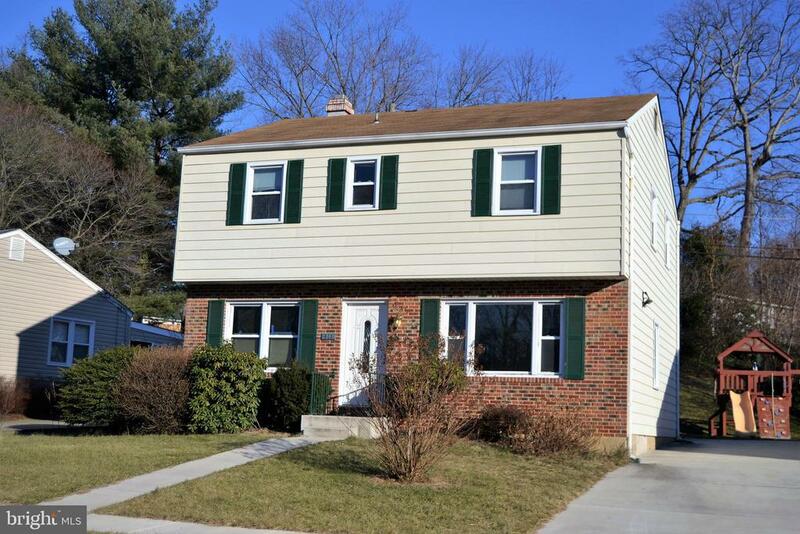 "Are you looking for the perfect, affordable, updated home in a blue ribbon Catonsville school district? How about 3 bedrooms, 3 FULL baths, a completely remodeled kitchen and HUGE fenced back yard ~ yes please!The entire upper level is your MASTER SUITE featuring a spa bathroom and walk in closet. Cook up a storm in the gorgeous kitchen and then enjoy your meal on the charming screen porch. This house has it all!Head downstairs to the finished lower level with 2 tucked away spaces for a home office or gym area. The back door leads up to the yard with a tiled area to make a great mud room. Quiet cul-de-sac with a brand new driveway and fully fenced and PRIVATE back yard. 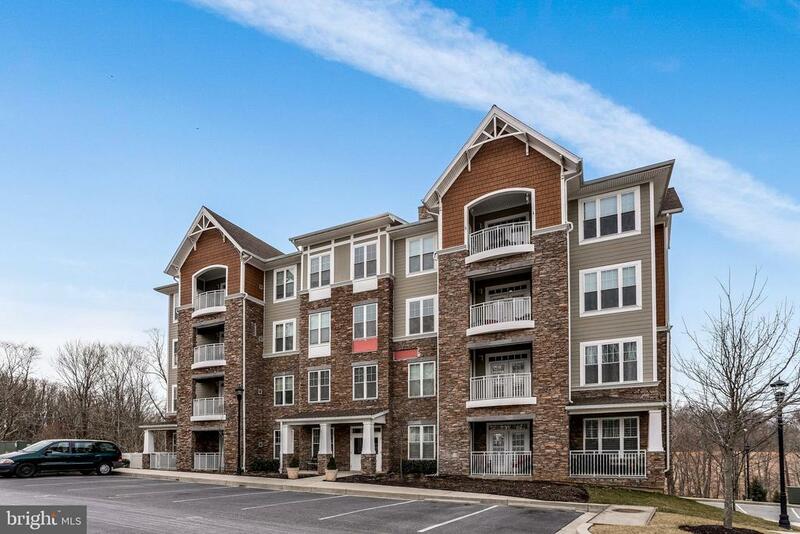 Convenient location, just minutes from shops and restuarants in Catonsville and Ellicott City. Great area for commuting to Baltimore, Columbia, DC and anywhere you need to be in the Baltimore area. UPDATES AND FEATURES OF 440 WESTSHIRE~Remodeled kitchen with stainless appliances, granite counters, gas stove, tons of cabinets & pantry. Built in table with bench & storage ~Refinished hardwood on main level~Recessed lighting~Central AC~New driveway~Screen porch with ceiling fan~3 full remodeled baths with granite counters and ceramic tile~Huge master bath with double sink and walk in shower with seating~Finished basement with large laundry room and full bath~Completely fenced in yard"
"Open-concept living and dining rooms with lofty windows. Kitchen equipped with ample cabinetry and a breakfast bar. Main level full bath. Upper level with three generously sized bedrooms and a full bath." "Completely renovated in 2016. New roof, new siding, new HVACs, new appliances & hot water heater, built-in's, chair rails and hardwoods throughout. Kitchen backsplash & granite. Lower level 2 bedroom, additional kitchen & bath w/ separate entrance, fenced yard & porches. Close to commuter routes 695, 40 & 95. A must see!" 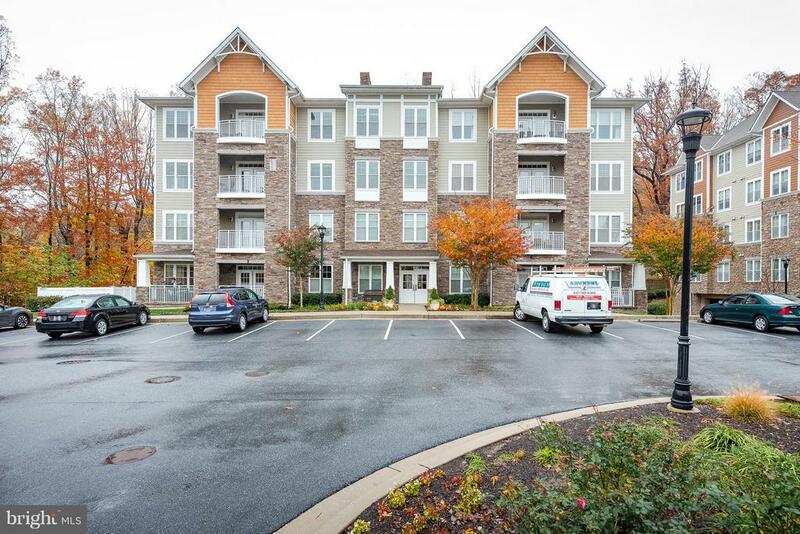 "Welcome home to this pristine 55+ condo in Patapsco Overlook! Sun-drenched open concept interiors feature a chef's kitchen w/gorgeous maple cabinets, Whirlpool stainless appliance suite, granite counters & island! Open living room and dining room. Study w/french doors has bedroom potential! Owner's suite with walk-in closet & 2 standard closets. Owner's suite also features a frameless accessible shower & maple double vanity. Endless community amenities; beautiful club house with fireplace & exercise room. Close proximity to Old Ellicott City, Main Street Catonsville & Patapsco State Park! Storage unit #3 conveys, 1 assigned garage space also conveys, it is located next to storage unit #3." "Sophisticated and stylish condo offering flexible floor plan for those looking to downsize or enjoy easy living! Two bedrooms plus den/study/office or 3rd bedroom allows for family, guests or those who work from home to have it all! Gorgeous cafe stained cabinetry in kitchen offering stainless appliances and breakfast bar for casual dining, private master suite with 2 large closets plus stunning luxury bath, full sized washer dryer in unit and French doors to covered trex deck for outdoor space! Private, secured underground parking space, elevator for easy access to unit plus fantastic club room, fitness center & meeting rooms for all residents! 55+ Community!"